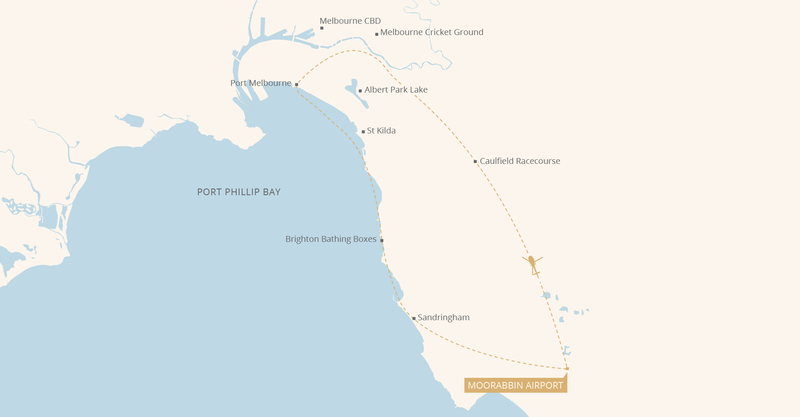 Enjoy an exciting shared flight, departing from our luxurious Moorabbin Airport heliport. See the famous beaches, ever-evolving skyline and spectacular surrounds of beautiful Bayside. This amazing experience is perfect for special occasions of any kind. Minimum 2 passengers per booking. Tour bookings are essential. All flights are subject to availability, confirmed passenger weights and weather. Please refer to our Policies for a full list of conditions. To check availability or to make a reservation, contact Microflite or book online.